Liverpool looks to make it back-to-back seasons in the Champions League semifinals when the Reds go to Porto on Wednesday for their quarterfinal second leg with a 2-0 lead. 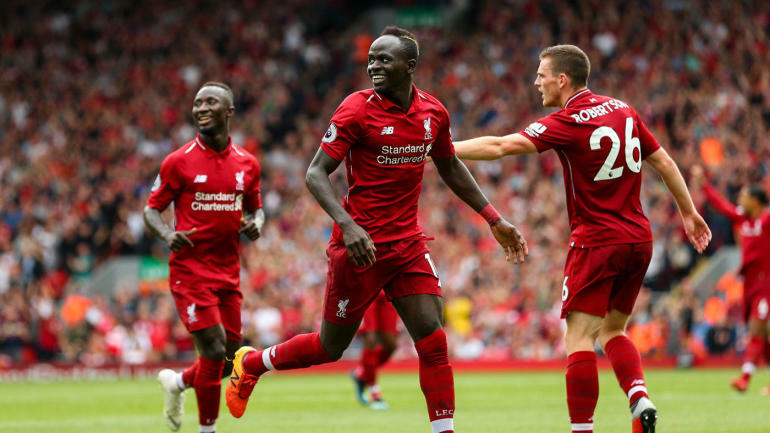 The two teams met at Anfield on April 9, with Naby Keita and Roberto Firmino scoring the goals in the first half in a display that the Reds could have won by more. But Jurgen Klopp’s team is sitting in a great position having not conceded, and just one goal at Porto would require the Portuguese side to score four to advance. Liverpool: It’s all about just getting a goal. Get one, and this tie is probably over. Liverpool has a strong enough defense to not let Porto concede three, let alone four. So expect them to play a bit conservatively and try to go on the counter for a goal that probably kills off the game. Porto: Tough task for Porto. A 2-0 is manageable, but how do you keep Liverpool out when you have to go and score at least twice? There’s a balance there between making sure you don’t concede, but having to go forward will likely leave them vulnerable at some point. The quality is there, but this may just be too difficult of a challenge, especially if Liverpool scores. Mohamed Salah scores in the first half and it’s enough to see Liverpool advance into the last four.